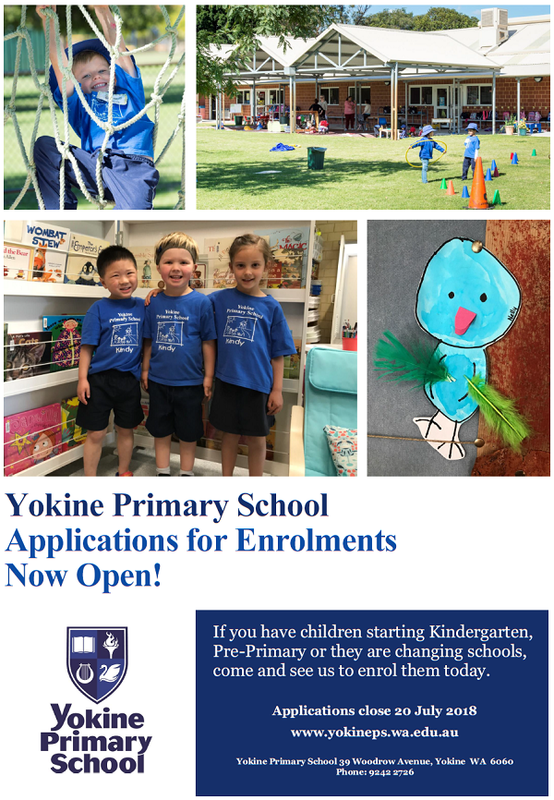 If you are interested in enroling your child at Yokine Primary School, please contact our school on (08) 9242 2726. Office hours for enrolments are 8:00am to 4:00pm or via email. Once the Application Form has been presented to the school, and approved by the Prinicpal, you will be notified to come into the school to complete the Enrolment Form.